During the Sunday Morning Service, nurseries are available for infants and toddlers through age 2. Junior Church programs are available for 3- and 4-year olds and kindergarten through 2nd grade students. On the fourth and fifth Sundays of the month Junior Church is also available for children 3rd through 6th grade. On Sunday Evening, nurseries are available for infants and toddlers through age 2. Individual children’s classes are offered for preschool and grade-school age children and teens. Classes for adults include college-age singles, ladies, and adults. 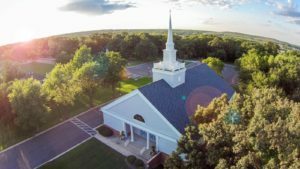 Several times a year adult Sunday School classes include special “electives,” which give adults the option to choose the class they desire to attend. Some of the classes that have been held include studies on Biblical Manhood and God Is More Than Enough by Dr. Jim Berg (www.jimberg.com) “Brokenness,” Genesis Flood, How to Study the Bible, “End” Times, Responding to Life’s Challenges, How to Help Someone with Problems, Overview of Various Cults and Religions, Biblical Leadership Qualities of a Godly Man, Relationships, and much more. Wednesday Evening Bible Study has nurseries available for infants and toddlers through age 2. Pee Wee Patch Club (www.majestymusic.com) is for children ages 3 through kindergarten. For children 1st through 6th grade, Kids4Truth (learnabout.kids4truth.com) is offered during the school year and the Kids’ Summer Program is held during June, July, and August. Wednesday Evening has separate Teen and Adult Bible Studies.